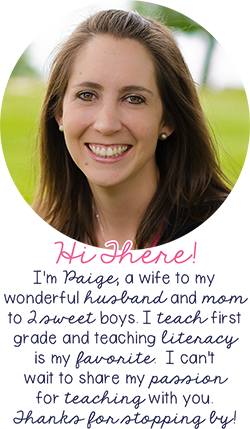 Hello, all you fabulous working mamas! I just recently returned from maternity leave for the second time. I have a 5-year-old and a 1-year-old. If you're like me, you were dreading returning to work for weeks before you actually had to go back. As a working teacher mom, there are plenty of us who take maternity leave and have to return after a short time at home. Now, I wish I could change the way maternity leave works and allow all of us to take more time, but I can't, so I'm here to share some tips to help you get through it. If you're anything like me, you enjoyed every second being home with your sweet baby. While it wasn't easy by any stretch of the imagination, sleeping, eating and pooping babies are exhausting, every moment was special and worth it. Don't get me wrong, I love my job and I could never be a stay at home mom, but having to return to work and leave your young child is just so very difficult. Before I start, please know that these may not work for you or help you cope with returning to work. I just know as a mama returning to work, I was looking for what it would be like and any tips I could find to make it a little bit easier. Whether you enjoyed maternity leave or not, returning to work is not an easy feat. Not only do you have to worry about getting yourself ready and out of the house, most likely, you have to worry about getting a baby and possibly other children out of the house as well. Having a tribe at work and out of work is vital! While you'll want to have friends at school to count on, having some friends that you can call on outside of school is great too! If your school and your outside of school tribe are the same, like me, even better! When I was returning to work, I counted on my girlfriends for so much. 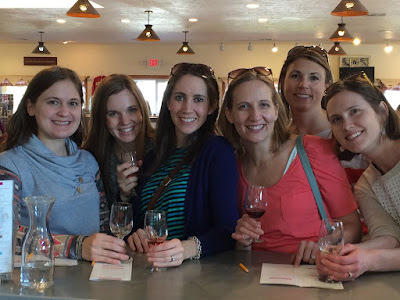 Here I am with my besties on a weekend away in Door County wine tasting. It just so happens that I found out I was pregnant a few months before this and was able to share with them here. Don't' worry, that's non-alcoholic wine in my glass. It was the little things that I started enjoying at work that made it just a little bit easier to return. And they didn't have anything to do with teaching. Some things that I really enjoyed were my tea and my snacks. Now, that's super silly and simple, but one of the times I enjoyed most at home was enjoying my slow, lazy mornings which included drinking my tea hot from an adorable mug. I knew I loved that part about being home, so I decided to try it at school too. Now, it wasn't quite the same-no snuggling baby in my arms, no Today show on the television, and no sweats, but it helped me start my morning off right at school; it gave me something to look forward to. These are the two specific teas I enjoyed as a nursing mama. 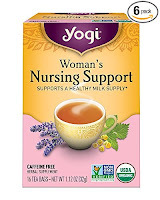 The Yogi is my favorite, but Mother's Milk isn't bad either. Both great choices for morning tea. 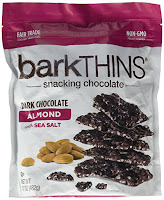 Now let's talk about snacks. Especially as a nursing mama, but even a brand new mama, you need ALL the energy you can get so making sure you have snacks easily available at school is so important. You want something that's delicious, but that will also give you the energy you need to get you to lunch or dinner. I loaded up from Costco before returning to work so I didn't have any shortage of snacks. And then as the days went on, I started looking forward to these snacks. These were my two go-to snacks. Easy and delicious! 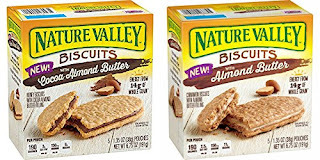 The biscuits would be a mid-morning snack and the chocolate got me through until dinner time. So whether it's working with the kids, or taking a breather in the teacher's lounge or your tea and snacks, find something each day that you are looking forward to. It makes it just a little bit easier to get out of the car each day. 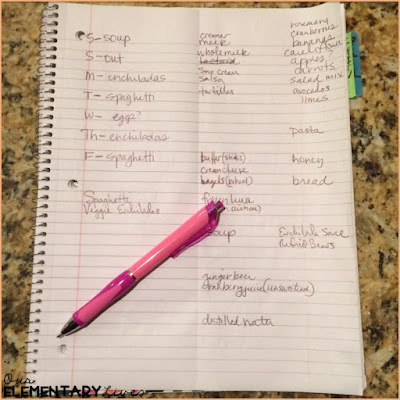 I'm a planner, I always have been a planner, but probably the biggest thing that helped me go back to being a working mama was planning out anything I could. This especially meant meals! I planned out breakfast, lunch, and dinner for each day. It took away the stress of having to figure it out on the go. This also meant that I planned out each dinner meal, went shopping once during the week and made everything I could on Sundays. We typically make 2 meals on Sundays to eat throughout the week. Now if you don't like leftovers this probably won't work for you, but we make enough to eat a meal twice. Then one day during the week we make something really easy like eggs, soup and sandwich or even pick something up. This way I know what is for dinner and I'm not trying to figure out what's for dinner at 5:00 each night or even worse, rushing to the grocery store after work with a baby in tow. Here's what a week of meal planning looks like in my house. I have a notebook that we keep our meal ideas and past week's meals in. On the left is the plan for the week, on the right is the grocery list. Nothing fancy, but simple and easy. 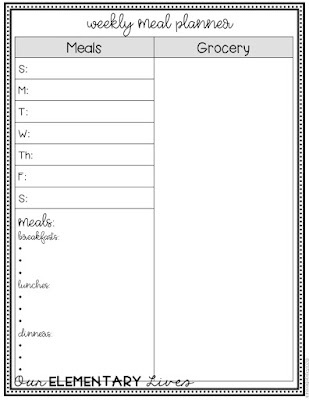 Click >>HERE<< or on the picture below to get this meal planner. Again, it's nothing fancy but knowing that I have a week of meals planned is a huge relief. When my husband goes to the grocery store (yes, he goes and has been going since we've had kids) he just cuts off the right side of the list and is ready to shop. Don't be afraid to ask for help. At home and school, you don't have to do it all. I am that Type A person who has a plan for everything and wants things done my way. After babies though, I had to let go of that a little bit and allow others to help me and figure out where I could delegate some of the other tasks that needed to get done. As I mentioned above, my husband does the grocery shopping and has done it 75% of the time for the last 5 years, since we had a baby. This was one thing I let go of. There was no reason I had to do it and he asked how he could help so I told him that doing the shopping would be a huge help. Find other things others can do for you: maybe it's getting a cleaning lady (it's the best money we spend all month), or having your partner do more around the house like the laundry, or asking family or friends to watch the baby for a little bit so you can run errands or take the friend up on the offer to make your family dinner. Those that are around you are willing to help, so just ask or say yes when they offer. Last but definitely not least, this is probably the most important one, is to take care of yourself. Get your rest, eat healthy foods, make time to work out or read or craft, or whatever you need to do for yourself. Remember tip #4? Ask those around you to help you so you can have YOU time. Remember this quote! Your family, your students and yourself need your cup to be full. Take care of yourself first. So there you go, those are my 5 tips for returning from maternity leave. Whether your a teacher or in another profession, please know that there are others who have done it and can help and support you along the way. Welcome to this new tribe of working mothers. And remember what Tina Fey has to say. My best friend always tells new mothers this quote returning to work and I think it's the perfect way to end this post. We really do the impossible every day. Keep at it, this too shall pass. It does get easier, I promise.